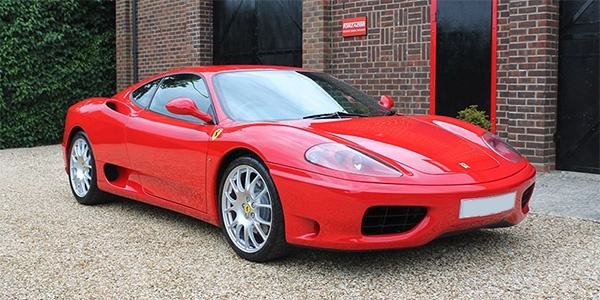 Ferrari 360 Modena F1, 1999 (2000 model), 34,000 miles. This Ferrari was originally registered in the Channel Islands with full documented service history, challenge rear grille, 19″ Stradale wheels, electric seats, all keys books and complete toolkit. This has just left Emblem having had an £8,000 service including belts, ball joints, track rod ends etc, clayed and detailed.